Download Summer Fashion Sale Flyer PSD Template. 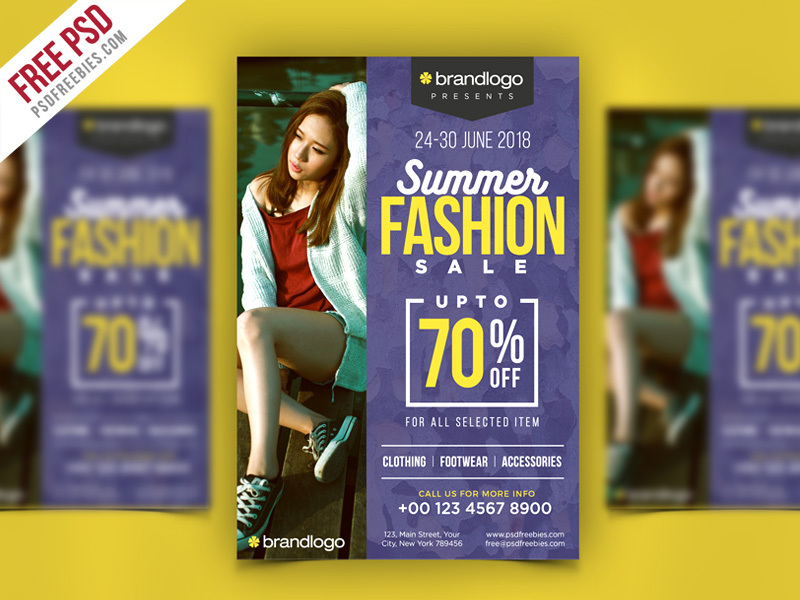 This Summer Fashion Sale Flyer PSD Template is perfect for retail sales business, E-Commerce Sale, fashion sales, Summer Sale Event or boutiques who wants to promote a sale. This Summer Fashion Sale Flyer PSD Template comes with smart object layer feature, you can easily replace the images and edit the content. This Summer Fashion Sale Flyer download contains a A4 size, 300 dpi, print-ready, CMYK PSD file. Hope you like it. Enjoy!